Last April's fertilizer plant explosion in West, Texas, leveled several blocks of the town and resulted in the deaths of 14 people. Central Texas Iron Works (CTIW) employees Robert Snokhous and Doug Snokhous were among those killed. The brothers — who were also volunteer firefighters — lost their lives while trying to extinguish the blaze that led to the explosion at the plant. In their memory, CTIW has created the Steel Industry West Relief Fund to assist victims of the tragedy and the West community as a whole. If you would like to donate, checks can be made payable to Steel Industry West Relief Fund, c/o Central Texas Iron Works, Inc., P.O. Box 2555, Waco, Texas 76702-2555. 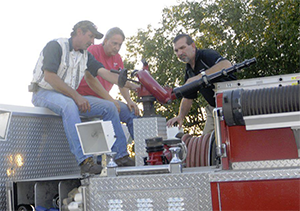 CTIW has also teamed up with the Waco Foundation to accept donations for the West Volunteer Fire Department. If you would like to donate, checks can be made payable to Waco Foundation, West Texas Disaster Relief Efforts Fund/Firefighter Relief (In Honor of Robert and Doug Snokhous), 1105 Wooded Acres Dr., Waco, TX 76710. You can also donate online. To learn more about Robert and Doug, as well as the other victims of this tragedy, click here. One of the great benefits of SDS/2's connection design capabilities is its ability to recognize framing situations or opposing members and make adjustments accordingly. Occasionally, however, users may need to override these checks. While this can always be done through User connections or by making graphical changes, there are many cases where the option to Disable framing situation checks can be used to achieve the desired results. Read more. Design Data will be holding two webinars this month. Attendees at the June 4 Tips for Backing Up SDS/2 Data Properly webinar will learn from Design Data staff on their experiences with different backup solutions, how some work with SDS/2, plus other tips for backing up data. Click here to register. 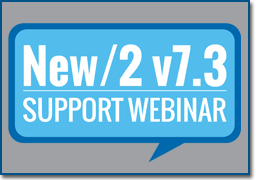 The CNC Capabilitites and Update webinar on June 18 will cover the newest enhancements to DSTV and how the layout for DSTV options has changed in SDS/2 v7.3. Click here to register. SDS/2 customer Structural Detailing, LLC, has implemented an innovative way to demonstrate their use of SDS/2 across the United States: a Google map with pins to denote project locations. The interactive map allows visitors to the Structural Detailing web site to click on any of the pins in the map and learn more about a project, including the job name, client and a description of the project. 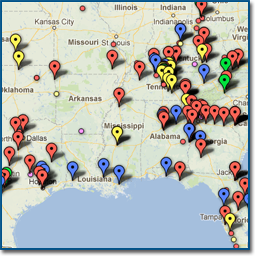 To view the map and see what projects the company has been working on, click here.